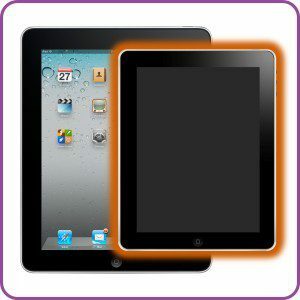 Do you have a busted, cracked, loosened, or scuffed LCD screen on your Apple ipad? Not sure where where to start down the path of repairment? Some repair services take too long, others are not certified or equipped to handle certain products, and let’s not forget the ultimate decision maker, pricing. Getting quality ipad LCD screen replacement services should not cost a fortune. At Uzoox mobile device repair Indianapolis, we strive to provide our customers with efficient, thorough, and impressive ipad 2 LCD screen replacement services, all at a sensible price. Uzoox mobile device repair Indianapolis has service centers located in the Indianapolis and Greater Indianapolis region, in Castleton Square Mall, Greenwood Square Mall, East 96th st., and University Park Mall. The Uzoox mobile device repair service centers come with workable store hours. We also offer pick-up and drop-off service options. 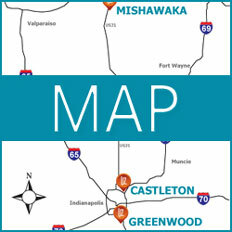 There are certified mobile device repair professionals assigned to each Uzoox mobile device repair service center located in Indiana. Our teams of highly-trained repair technicians are equipped with the knowledge, expertise, and skills to thoroughly service our customers and handle wide variety of mobile device products. Our Apple certified technicians are more than capable of providing impressive ipad 2 LCD screen replacement, ipad 2 screen repair, and other ipad 2 repair or replacement services. At Uzoox mobile device repair services, we are committed to providing top shelf ipad 2 LCD screen replacement services to all our customers. In addition to our various service locations, affordable prices, and expert results, Uzoox mobile device repair offers a lifetime warranty on all our repairs, including parts and labor. We take great pride in our work and our legacy and strive to continue to exceed client expectations on a daily basis.